Discover the Research-Alumni KIT App! Discover the App: Ankommen. The guide for your first weeks in Germany! More information on initiatives, platforms and networks in support of refugees and threatened researchers at KIT and other universities or entities - please see here. Workshop - Threatened Researchers II: Science in Exile - Shared Responsibilities. A second workshop concerning the subject of Threatened Researchers took place on 6th December 2018. 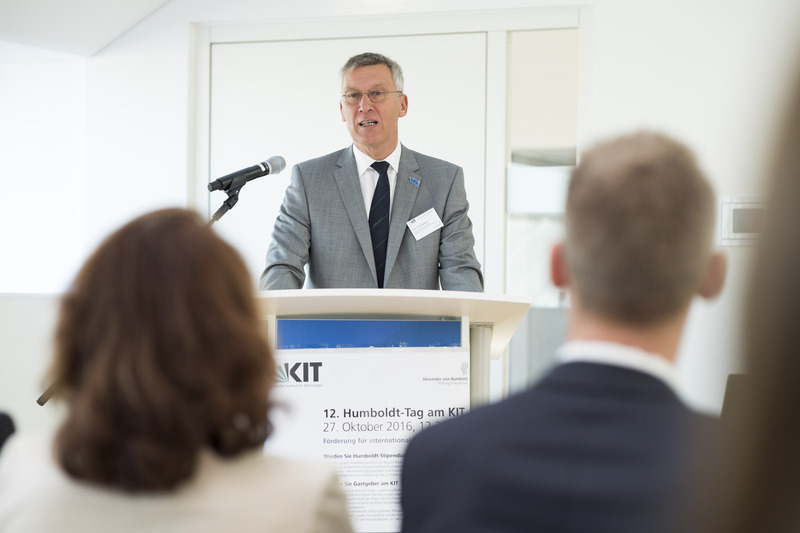 The workshop was organized by the International Scholars and Welcome Office (IScO) and by ZAK | Centre for Cultural and General Studies at KIT in cooperation with the Alexander von Humboldt Foundation and Humboldt Regional Group Karlsruhe-Pforzheim e.V. within the Philipp Schwartz Initiative. Prior to the workshop a film screening of a documentary had been organized in the course of the World Science Café. Workshop - Threatened Researchers - The Power of Science. The meeting, which took place on December 12, 2017, 2 pm, was aiming to raise and sustain the awareness about this important topic and to address the needs of this especially vulnerable group of mobile researchers. Even more so we hoped to promote the dialogue and mutual understanding among fellow researchers and fathom out the possibilities of supporting threatened researchers e.g. via networks such as the Humboldt network. Program. Report. Panel Speakers. Photos. Anemar Bruno Kanj fled Syria and found a new home at KIT, with the support of Volkswagen Foundation. What do people in the EU member states think of Europe and European Integration? How did their thinking change over time? Please check www.ukoeln.de/ZZ22G for updates, links to web-based broadcasts. [External] "Science Compass" Workshop for refugees and threatened researchers from 28 February - 1 March 2019 in Tübingen. [External] The 2nd BRiDGE training for Refugee Researchers will be conducted on Wednesday 13 February 2019 in Thessaloniki! The consent forms for personal data collection is attached. The form need to be signed, scanned and a copy to be sent by email. Since the winter term of 2016/17, the ZAK, in cooperation with the International Scholars & Welcome Office (IScO) has been hosting a new series of events during which refugees report about their scientific work. In line with the title-giving café concept, a brief outline will be followed by a discussion about the state of academia in the speakers’ country of origin, in dialogue with a partner who is familiar with the situation in the respective country. What are the consequences a society faces when scientists are unable to continue research in their own country? How can threatened scientists be enabled to continue their work in Germany? How do they enrich and amplify the academic world and German society? The next lecture is set for February 2019, details will follow. On the occasion of Diversity Day on June 5, 2018, initiatives to support refugees introduced themselves at an information market in the foyer of the casino at Campus Nord. Together with the International Student Office and the coordinator for the integration of refugees at KIT, they presented their services at several booths and explained the possibilities for voluntary work. 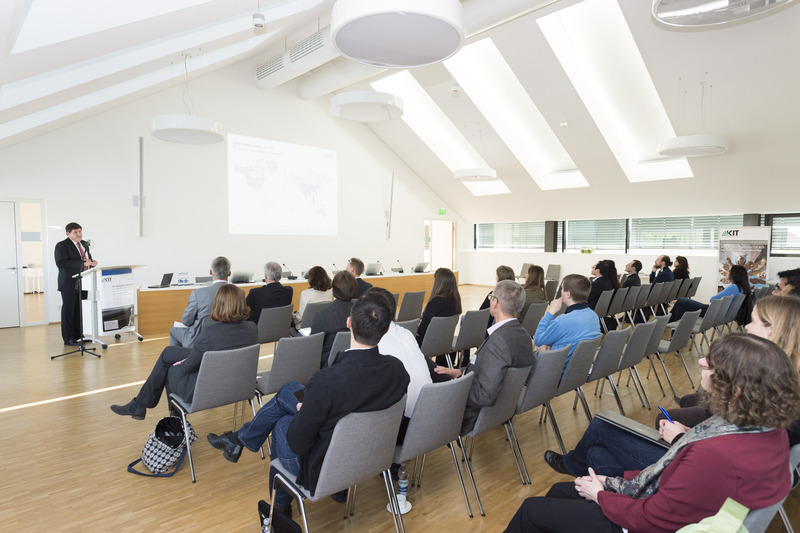 The International Scholars and Welcome Office (IScO) provided the visitors with insights on how KIT welcomes endangered researchers and helps them to continue their scientific work. Formats for international mobility and cooperation, which KIT actively contributes to shaping, play an important role in this regard. The booths also offered interesting information about the worldwide Scholars at Risk network and the Philipp Schwartz Initiative, in which KIT is a member, as well as about the event series World Science Café. The first Workshop of the German SAR Section “aiming at facilitating the exchange of expertise and best practices amongst institutions in Germany” will be held on 27th -28th . April 2017 in Berlin.